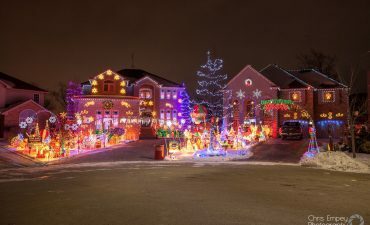 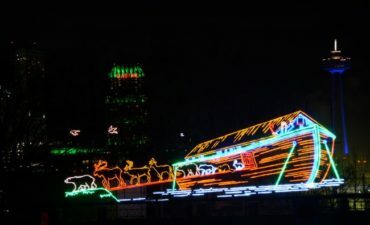 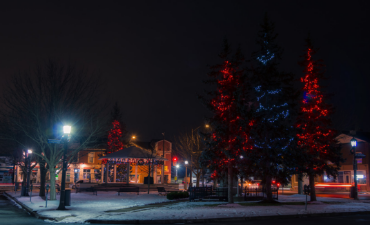 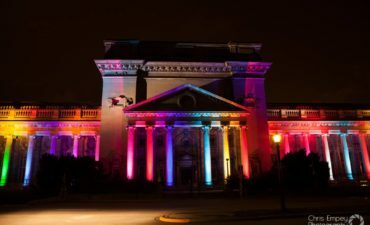 The Ontario Power Generation Winter Festival of Lights is one of the premier illumination festivals in North America. 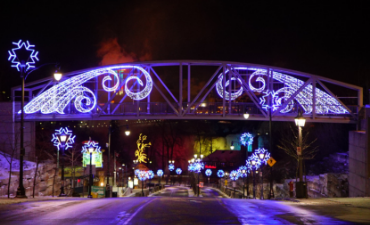 Its Illumination Route extends eight kilometers along the stunningly beautiful Niagara Parkway, through Dufferin Islands and into surrounding tourist districts. 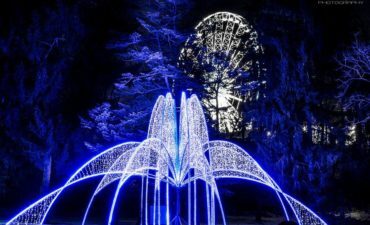 The Niagara Parks displays make up the largest section of the WFOL illumination route and host many of the Festival’s iconic displays. 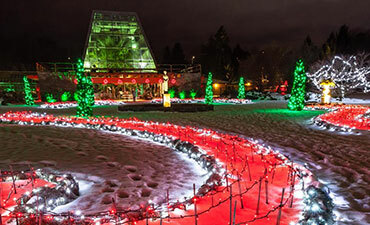 At the bottom of Clifton Hill is an area known as Grandview, for the Winter Festival of Lights this area will feature decorative lighting including spiral trees at Oakes Garden Theatre, the Grandview Christmas Tree with presents and trees adorn with warm white lighting and dangling strands to resemble trees with Spanish Moss. 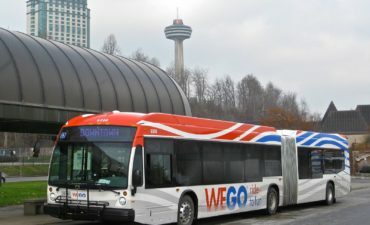 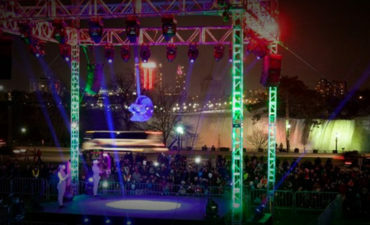 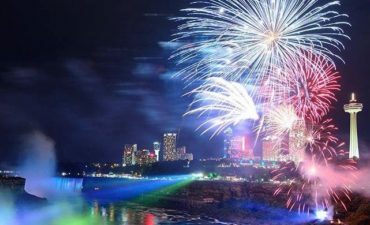 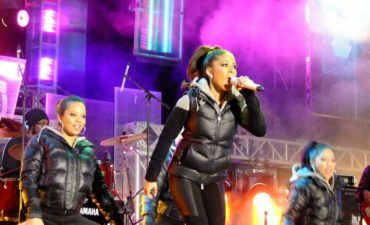 Moving towards the Falls, visitors can view the Festival’s iconic Zimmerman Fountain, the Niagara Parks Duck Pond and the illuminated Niagara Parks Police Building with Angels. 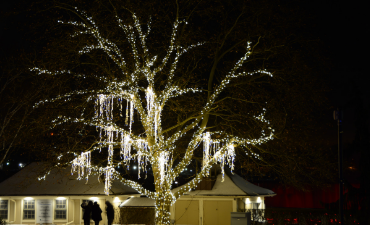 Queen Victoria Park is beautifully illuminated with a forest of tree-shaped displays in various colours. 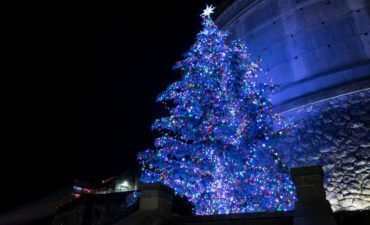 Behind these trees white blinking lights are spread across the moraine which resemble sparkling stars in the night sky. 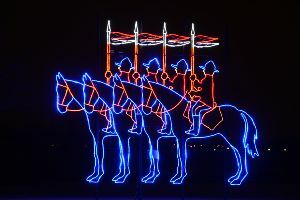 New for 2018 the Winter Festival of Lights will feature Light Art exhibits from the Amsterdam Lights Festival. 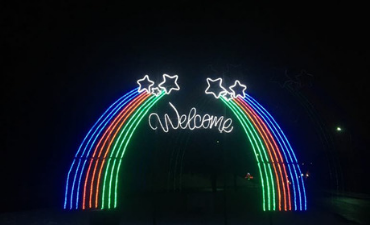 Seven unique Light Art pieces will be on display along the Niagara Parkway from November 3 to January 6.